With a seemingly endless parade of insurers offering a never-ending selection of annuities, shopping for income annuities can be a daunting process. Many baby boomers planning for retirement become overwhelmed and succumb to pressure to buy an annuity that pays less than a competitive amount. Potentially leaving money on the table leaves retirees with feelings of apprehension, which is the exact opposite of why most people buy annuities––for the peace-of-mind they can offer. There is no reason a retiree should ever find themselves in this position. By asking three straightforward questions, annuity purchasers may assure themselves that they are getting the best deal possible. Who are the most trusted annuity carriers? Anyone can promise anything. 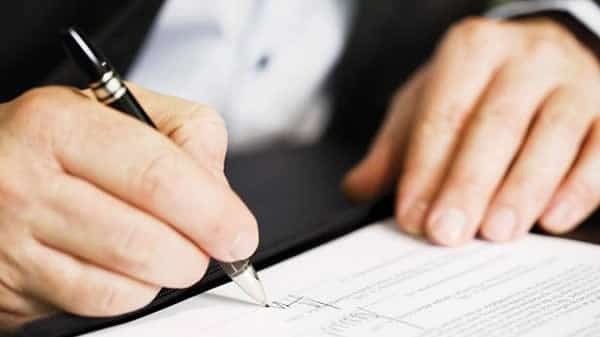 The contract that makes up an annuitant’s policy is only as good as the ability of the insurer to live up to its obligations. If a company isn’t in business to make timely payments, the annuities it sells become useless, as well as worthless. Each state has guaranty associations that back up annuities to mandated levels. This is a feature that is given for any annuity sold in the United States. Annuities that are not backed by a state guaranty association should be avoided, of course. However, that an annuity is backed by a state guaranty association really isn’t a feature that distinguishes one annuity from another: they should all be backed. People who buy income annuities are looking to guarantee a stream of income for the rest of their lives: one that they can depend on. When choosing annuities, many shoppers consult Comdex ratings of insurers which range between 0 and 100. Some professionals choose to only recommend products of companies with Comdex rankings of 85 or higher. A Comdex ranking is a composite of ratings issued by well-known agencies: Standard & Poor’s, Fitch, A.M. Best and Moody’s Investors Services. Insurers must be rated by a minimum of two ratings agencies to receive a Comdex score. Which annuity contracts pay the most? Many income annuities offer monthly payments that are linked to stock market indices. These are great, in that if things go really well, annuitants could receive significantly more than what they had planned for––annuity owners may also participate in stock market profits. However, what really matters to retirees looking to secure a lifetime of income is what level of income is guaranteed. To ensure that you are receiving the most income possible for each dollar contributed, it is necessary to examine case scenarios for each annuity considered. Be sure to ask a trusted and independent retirement income specialist to examine how much an annuity pays in income for the worst-case and best-case scenarios, for example, if stock markets fall and interest rates remain low or if stock markets and interest rates rise. By choosing an annuity with the greatest nominal benefit from a selection of annuities offered by well rated insurance companies, retirees are part way to identifying the annuity that offers the best value. Which annuity contracts have the lowest premium? The goal for all retirees considering annuities is to pay the least amount for the greatest net dollar benefit possible. Once a group of annuities that meets income needs has been identified, the amount paid for each must be compared. Annuities that offer that most payout per dollar contributed are the most desirable. This fact can be lost on annuity buyers who get caught up in dazzling sales presentations for annuities offering high theoretical returns, but inferior guaranteed returns. Consumers may arrive at a net figure representing the dollar benefit per dollar in premium paid for several different scenarios. Variables in these scenarios are life expectancy, stock market returns, interest rates, and need to withdrawal capital. While some annuities allow annuitants to make periodic withdrawals without penalty, typically, surrender charges for annuities are significant. 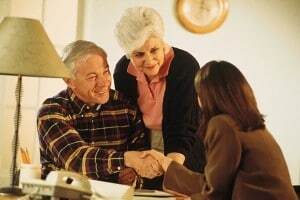 Therefore, annuities are not suitable to purchase with funds that may need to be accessed. Consumers buying annuities to secure a lifetime of income and peace-of-mind should focus on obtaining the highest guaranteed amount of income possible per dollar contributed in premiums. Factors such as the ability to withdrawal funds without penalty should be given less weight when considering an annuity purchase. When purchasing annuities, what matters most is securing the highest possible guaranteed payout per dollar in premium paid. By focusing on worst-case scenarios, annuitants can plan for a comfortable retirement, with potential upside if stock markets rise, which helps ensure better peace of mind. Trust common sense, do the homework, compare policies and don’t fall for any sales gimmicks designed to drive commissions. Focus on the bottom line and the rest will fall into place.